Here are quick directions on exporting a video in Adobe Premiere Pro to a compatible format (H.264/MP4) for playing on computers, tablets, smartphones and can also be used for uploading to YouTube and Vimeo. Be sure to SAVE your Premiere Pro project before starting this process. Select the Sequence you want to export in the Timeline panel. You’ll notice the border around the selected sequence panel turns to orange when selected. Select File → Export → Media… from the menubar. On the right in the Export Settings window, Format: select H.264. H.264 will create an MP4 video file that is playable on most computers, tablets, and smartphones. From the Presets dropdown, move your mouse to the bottom of the giant list of options and click on the black upside-down triangle to move down the list to the Vimeo & YouTube options. Based on your sequence settings, choose the best output. [CLICK TO VIEW] Adobe Media Encoder H.264 Presets for YouTube and Vimeo. Click on the Output Name to give the file a custom name and setup the save location on your hard drive. Premiere Pro defaults to the last location an export was saved. ALWAYS click on the Output Name to double check the save location, so you’re not left searching for the file later. It is recommended that you only export a video when you are done with all your work and are not going to perform any more tasks on your computer. The export process requires a lot of computer memory and it is recommended to close all other programs while this tasks is running. OPTION 1 | EXPORT – Click the Export button at the bottom to start exporting the file. OPTION 2 | QUEUE – If you know you want to keep working and export the file later, select Queue to send the export job to the Adobe Media Encoder program. The Adobe Media Encoder allows you to export a batch of videos at a later time. Before uploading the video to YouTube or Vimeo, be sure to play it on your computer to ensure the final product is of the highest quality you expect for your viewing audience. Computer is slow or freezes when exporting. Turn off all programs except for Premiere Pro. You might even try turning off some of those little programs that are running down by your clock that you know you don’t need running like Google Drive and Dropbox. Be careful not to turn off your sound card or your video driver software! Shut down your computer and then restart it. When you restart your computer, turn off any background programs that you can think of or that you’re capable of turning off to free up memory. Then start Premiere Pro. If you have any questions or additional tips on exporting video in Adobe Premiere Pro, please leave a comment below. Previous articleICATS Weekly Photo Challenge- Week 17- What Are You Reading? Next articleDay 29 #30DC14: Professional Learning: There’s a Chat for That! This didn’t help at all. I’ve done the exporting but how do I turn a premier pro video into an mp4 video file so I can put it somewhere on my computer and upload it to YouTube. YouTube doesn’t let you upload Premier Pro files so I need to make the video an actual video instead of just staying in Premier Pro! So frustrating. When you export the video using the directions outlined on this page, you will end up with an MP4 video file saved somewhere on your computer. The final step will be to go to YouTube and upload the MP4 file. Everything is ok when I playback the video using VLC. After uploading to FB and Youtube. No sound for my video. The source video is MOV. Kindly hope your reply soon. 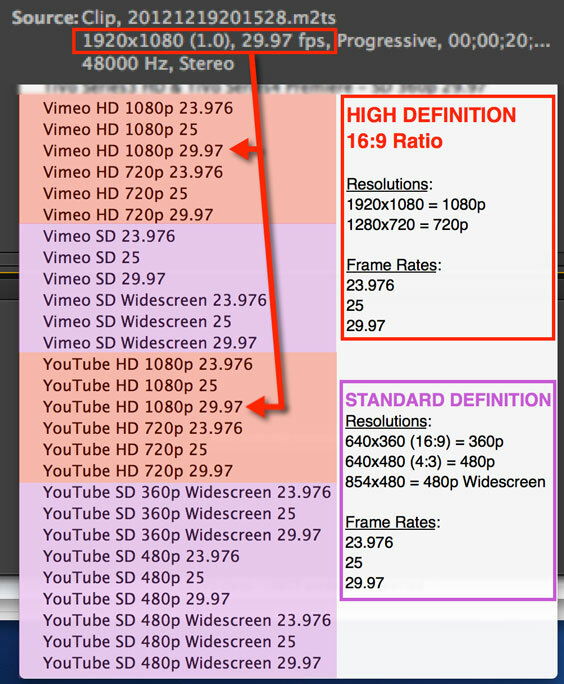 For YouTube or Facebook, I recommend using H.264 as the video format. Also, have you tried playing the video using a different web browser, computer (without VLC Player), or a mobile device? VLC Player could be causing the problem. The source video is mts. I edit and render to format h.264. Its working well when im playing on youtube via pc. Not working if im playing on youtube via handphone and via facebook. Im headache thinking this problem. When you upload a video to a service like YouTube and Facebook, the video will go through another conversion process by YouTube/Facebook to make the video ready for use with their media player. If the video is playing fine on your PC, I suspect that your phone software is in need of an update. Are you playing the video using the phone browser or the YouTube native app? What is your phone’s version number of the operating system? What about the YouTube app version number? 3. The original sound is stereo, so I’m off the left channel due to noise sound inside the soundclip. Upload to above setting as you taught. You’re welcome Nazrul. Great to hear that you were able to resolve the issue and get your video finished. You’re welcome – glad to help! I’m glad my directions helped you complete your project! The presets should just install as part of the installation. Which version of Premiere Pro are you using? I’m using Premiere Pro 7.0. I remember there being many presets. I found them all in Adobe Media Encoder but I remember them being in AE/Premiere too…. strange. Oh well thank you for the reply. Thank you for your help. my machine tends to freeze during exporting a lot i have a 27 inch imac 16gigs of ram, 3.06 GHz Intel Core 2 Duo. Why does media encoder freezes a lot even on a i minute video when exporting to any format? Do you have any other programs running at the same time? When I do any sort of video work, I close out all unnecessary programs (browsers, word processors, email) and exclusively use the video editing program I’m tasked with using. Another thing you might try is shutting down your computer, wait 5 or so seconds after it has shutoff, and start the computer back up. Do you have all the latest Adobe & Apple updates for your computer? See if any of these tips help you get your video exported. I am having a very strange problem with Youtube. This tutorial helped me a lot as far as exporting with the right format, but I still seem to have the same problem: when I upload the video to Youtube, the first few seconds of the video are very blurry, then it clears up. This is only in full screen mode. When it is not in full screen, the video is blurry the whole time. Please help! What am I doing wrong? A few things could be causing this. 1. When viewing on YouTube, at what quality are you viewing the video? Depending on your internet speed, YouTube will set the quality of the video to match the download speed of your internet. On the timeline bar. There are dials for sound, closed captioning, quality, and full screen. Some examples of the quality include 480p, 720p, and 1080p. Let me know this value. 2. If your video quality is set to 720p or 1080p HD, you may want to pause your video at the beginning to allow your device to download enough video to create a buffer so the video can play while still downloading. HD video requires more data and if the internet is slow, you don’t want it to play and then pause when it catches up. i am planning to import an mp4 file to premiere cs6, do some modifications and then export it as mp4. will the quality go down? Can you give me some examples of modifications that you are going to perform? Jerrad is amazing! I was having a problem converting a file from premiere pro file to an mpeg4 file. It was coming out very blurry. He helped me very quickly and is very knowledgeable! He emailed me back right away with an answer every time I had a question. Thank you so much Jerrad!! You rock!! You made an inexperienced premier pro user feel pretty confident in using the program! !